Danish drivers have protested after Copenhagen ruled that large sections of its traffic rules were secret in defiance of rulings that wardens must explain why they have issued parking tickets. Traffic wardens in Denmark’s capital have refused to tell parking offenders what rules they broke. Following numerous complaints from motorists the Danish Broadcasting Corporation requested and received a 110 page document spelling out how traffic wardens should behave and how and when they should issue tickets. 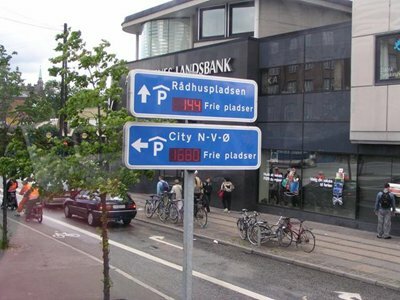 But key sections of the guidance, including the pages concerning the rules setting out the circumstances for issuing tickets, had been blanked out by the Copenhagen parking authority. Traffic wardens claimed that if drivers became aware of the information they would lose respect for traffic law and probably try to work around the rules. The parking authority also insisted that it wanted to prevent wardens getting into long or semantic arguments with motorists about the small print of regulation. Finally, the authorities declared that parking rules were “exempt” from freedom of information laws because “it is necessary for the protection of significant considerations regarding the implementation of public control”. The “secret” rules are thought to relate to information on recommended observation times for wardens, advice on how to make the judgement for issuing a ticket and the required positions of parked vehicles. The authorities have ignored a ruling from Hans Gammeltoft Hansen, Denmark’s parliamentary ombudsman, who said the rules “did not justify secrecy”.